Our struggle with forgiving others can be difficult. When someone hurts us, our first reaction may be to want revenge or hurt them back. Scripture tells us we must forgive as God has forgiven us. This sermon looks at why we do not want to forgive and the scriptural reasons why we need to. 2018 One Hit Wonders album. Our Christmas Sermon Series this year was a study on the passage of the promised Messiah found in Isaiah 9:6… Wonderful Counselor, Mighty God, Everlasting Father and Prince of Peace. A title was explored Sunday leading up to Christmas. A topical study on the role of emotions is a very important subject. This vast subject touches all facets of the human experience. Our lives often overwhelmed by emotions impact the way we act both good and bad. The tendency in both secular and Christian circles has been to lurch back and forth between two extremes... Rationalism and Romanticism. Throughout the series, we’ll see what forms the basis that governs our actions and what we base our lives on. An EXCITING series that explores the unique witness of John's Gospel presenting the deity of Christ through the statement "I Am" and the identity of who Christ is. Evangelism is getting harder to do today. According to the Barna Poll in the last 25 years a growing percentage of Christians believe sharing the gospel is optional because of the cultural belief that telling people Jesus Christ died for their sins is judgemental. 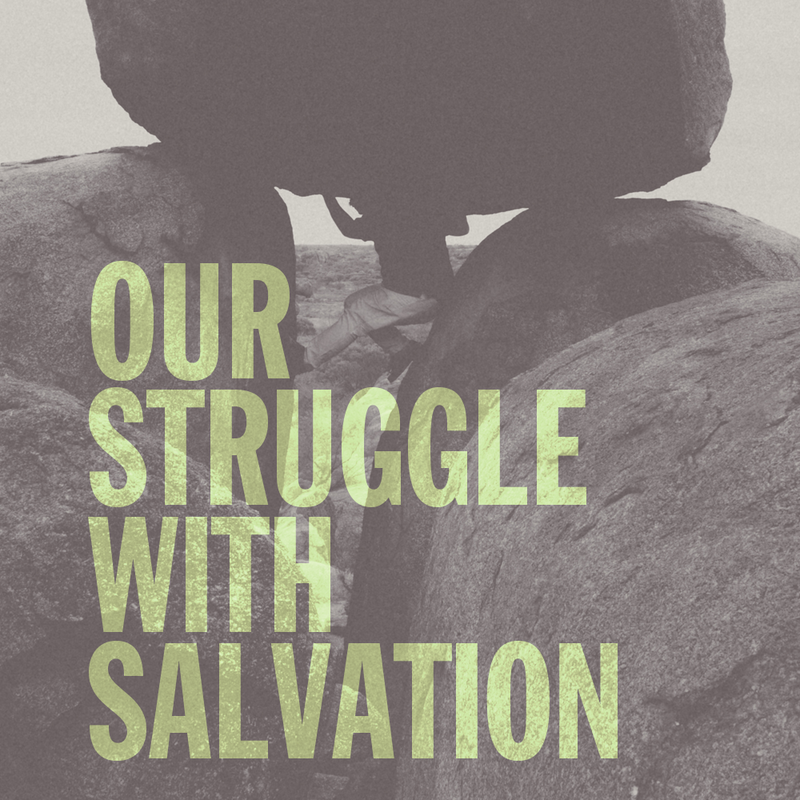 In this sermon Russ flushes out what our struggles are that keep us from evangelizing and the things we can do to change that. Paul's theme here is "Christ is Everything". It is about our union with Christ. He brings in baptism to make a point of our union with Christ. We become a part of His story... the bigger story of what God is doing. This collection of Psalms bares the title The Psalms of Ascent. Their name is derived from the fact that they were sung by the Jews as they made their way to the Holy City. Going to Jerusalem is an uphill journey. And as such it served to unite the hearts of the travelers together and put them in a proper frame of mind. The trek itself is suggestive of a narrative of faith in which the life of faith is a journey which has both direction and destination... A journey which is Godward. SALVATION... What does it mean? There are lots of reasons why people don't accept this free gift. In this sermon the focus will be on why we should. The truth is "God wants everyone to come to the saving knowledge of Him". So as it is truth why do people have problem receiving His free gift. As you are aware this past Easter was April Fool’s Day. In order to pull off an April Fool’s joke it has to be believable, something that happened or is believed to have happened and impacts our lives. Many look at the death and resurrection of Christ as a myth or legend. If so it’s just a cruel April Fool’s joke. In Acts 13 Paul preaches to the Resurrection of Christ as an actual event, something that really occurred and greatly impacts our lives. When Jesus asked the sick man, “Do you want to be made well?” He answered “Sir, I have no man to put me into the pool when the water is stirred up; but while I am coming, another steps down before me.” Orlando from Urban Hope shares his testimony in the light of John 5, as he speaks from experience to the mindset of not being able to get out of the place of hopelessness and brokenness without the help of our Savior. TASTE and SEE that the LORD is GOOD! Blessed is the one who takes refuge in him. The Communion cup is the cup of Thanksgiving. When we SEE, we can TASTE and know the LORD is GOOD. Man taking refuge in Him for our eternal salvation is the symbol of the ultimate refuge that we have from the wrath of God provided by Christ... In this alone we can TASTE, we can SEE, the Lord is GOOD.